Your credit score may determine how much interest you will pay when you take out a loan. A poor credit score can increase house payments by more than $100 a month. Simply put, having poor credit makes it difficult to get a loan. If you have problems with your credit history and still need a loan, consider a title loan from 800LoanMart. Creditors want to see that you can handle your credit and make timely payments. You can start building credit by getting a general credit card. Avoid store-specific cards and try to get the lowest fixed rate card possible. Only spend as much money on the card per month as you are willing or able to pay off. This demonstrates responsible credit use. Unfortunately, improper credit card use can hurt your credit score. Avoid carrying your maximum credit limit on the card each month. Make absolutely sure you are never more than 30 days late on a payment. After you become comfortable using your credit card, the next step to boost your credit rating is to make a larger, more expensive purchase. For instance, if you purchase an automobile and religiously keep the payments current, your credit score will climb. At some point, you may decide to purchase a home. Keeping your home payments current will drive your credit score to new heights. Following this kind of responsible payment pattern lets creditors know that you can handle a large amount of credit. The first step to fixing a bad credit score is to bring all of your payments current and show that you can keep them current for an extended period of time. 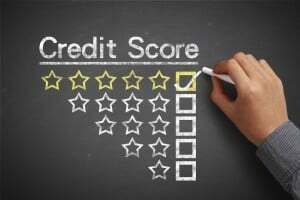 The next step to fixing a bad credit score is to monitor your credit by using any credit tracking too. Consider writinga dispute letter to each applicable creditor on your credit report. It is likely that the bureaus will accept some of your challenges and reject others. This process – which can take from three to nine months – will maximize your credit rating. In the meantime, if you need to make an emergency purchase, be sure to consider auto title loans through 800LoanMart.